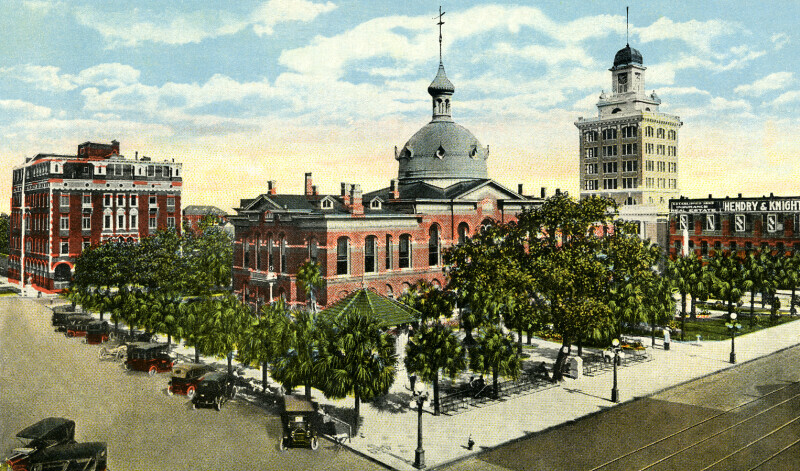 This postcard shows the Elks' Club, the Hillsborough County Courthouse, and City Hall are visible. The Elks' Club is a four story brick building, to the left. The top floors of City Hall, and its clock tower, are on the right. In the center, the courthouse has a silver dome. The grounds of the courthouse are landscaped, with palm and pine trees. There is a gazebo outside the courthouse.